Dear players! Hold your horses now, we at Videoslots.com have been totally blown away by this astounding new innovation, from the not so old game developer, Endorphina. This possibly could be one of the greatest video slots added within our list of over 1300 games. Let us introduce to you the fascinating game, FairyTale! This might be a tale but I would say this is probably a lovely dream for some… The theme is based upon three stunning beautiful fairies in another realm.. FairyTale is served with 5 reels on a 3-row format with up to 20 paylines to bet on. It has an exclusive kind of bonus round where you can win plenty of free spins with multipliers, but also to discover here is the wild symbol and a risk game. The word “Fairy” comes from the old French word “faerie”. Many cultures and civilizations have their own versions of fairies. There are enough kinds of them to confuse anyone, because sometimes writers have associated one fairy with a different kind. When we today think of fairies in general, we often visualize them as tiny, supernatural beings with wings and glowing with uncommon light in fairy tales for children. We are also used to believe that they possessed some sorts of magical powers, like the Fairy Godmother in Cinderella or Tinklebell in the story of Peter Pan. And as you probably can see from this game’s theme, we often associate them with superior beauty. In today's imagination, the fairy has assumed the role of a kind of pretty genie, relegated to such work as making wishes come true and hauling off of fallen teeth. Though in this slot you are cooperating. This time they are in need for your assistance. 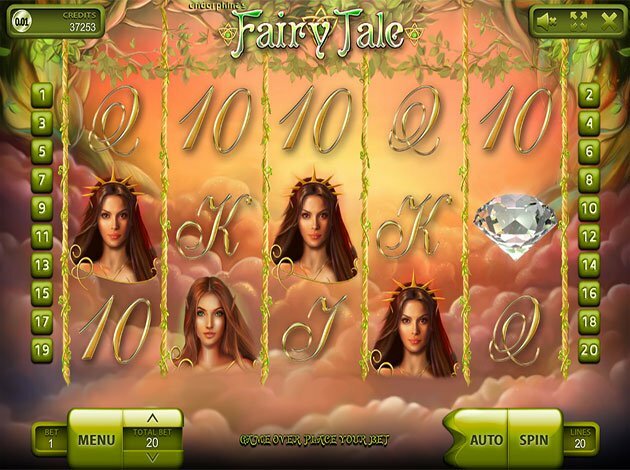 When you enter FairyTale’s video slot you will instantly be captivated by love. 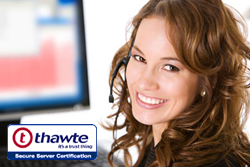 Added with warmth and relaxation from the high detailed and quality background, animations and sound. The music here is according to me, so great that even if you surf at other websites you might not want to shut the game down meanwhile. Endorphina has made it very easy to navigate in this slot, to see the different payouts and how the features work you just have to click on the “Menu” button in the bottom left corner. There are bonus symbols here, represented by a Diamond which is also working as the wild-symbol. 3 or more appearing randomly anywhere on the reels will trigger a “set the doves free feature”. You will then have free games to play until you collected all necessary keys to open the 4 cages, to release all the doves. For each cage you open the multiplier increases as well. Payline wins pay from leftmost to right, except the bonus symbols, and only the highest win per bet line is paid. There is also a risk game. Each win can be doubled by pressing the “Take Risk” button. A card game is then triggered where you have to select a card. The dealer open his card first. Then you have to select one of the remaining 4 cards and try to get a higher card. You can continue playing the risk game until you select to stop or until you lose. Be amazed by the adorable fairies and Good Luck in Endorphina’s new masterpiece, FairyTale!